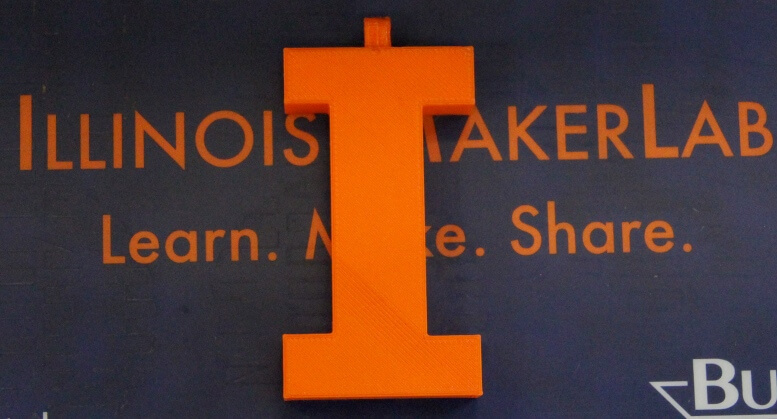 Come by the lab and make some programmable LED lit ornaments and pick up the block I ornaments to show your Illini spirit this christmas . Or you can pick any ornament from this list and make away merrily Tuesday, December 17, from 2:00 to 6:30 is the last chance to make ornaments before we close for winter break. A limited number of Block I ornaments(orange color) are pre-printed and available to purchase for $1 each. if you need significant quantities, drop us a line at UIMakerLab AT illinois DOT edu, , so that we can have them ready for you tomorrow. Newer PostMake your own Christmas Gifts!